‘Hogtied, foot and hand’ by Obama, Hillary and the United Nations. A long time ago, I became acquainted with the John Birch Society. At the time, I began reading its magazine “The New American” and in doing so I learned that the United Nations is a corrupt entity to be feared, avoided, and destroyed, controlled by tyrannical dictatorships whose human rights records are abominable. It is the instrument by which the world will be ordered into a New World Order. In this weekly video news update for July 2 – 8, 2012, JBS CEO Art Thompson discusses: how the ObamaCare health care reform would be a giant step toward socializing America and therefore must be repealed; how ObamaCare would enable merger of the U.S. with Canada and its socialized health care system as part of the overall North American Union merger of the U.S., Canada, and Mexico; Mexico’s new PRI government; and China’s announcement that the BRICS coalition will be funding the IMF. 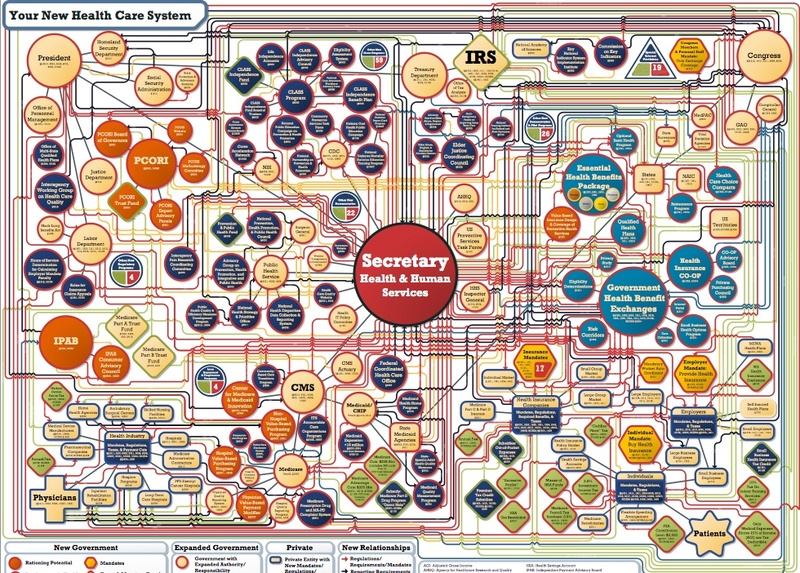 Click here to view a high resolution graphic of the ObamaCare Org Chart.